01 Argentina Travel Agency is made up of a group of travel agents and Spanish instructors, working out of offices in Buenos Aires, Argentina and Atlántida, Uruguay. We are members of the American Society of Travel Agents, as well as being formally registered with the Uruguayan Ministry of Tourism, and are also a member of the American Society of Travel Agents. We’re committed to giving you one-of-a-kind, personalized tour options so that you can explore a wide variety of beautiful South American landscapes, as well as dynamic cities! The Iguazu Falls is a particularly important tourist destination, visited every year by hundreds of thousands of tourists. 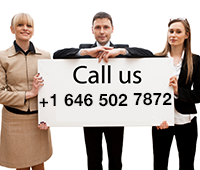 That’s why we want to give you the best travel option available, and present you with as much information as we can. This site is dedicated to showing you the different attractions, tours, and travel sites available to you in this exciting region! 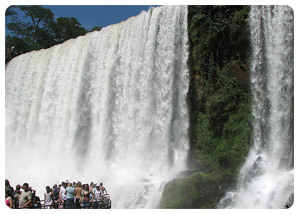 Experience the Amazing Iguazu Falls – Make your Reservation Today! On this site, you’ll find a lot of specific information about the landscapes, cities, national parks, excursions, and activities that are offered to travelers by this unforgettable area. Seeing the Iguazu Falls themselves is an exciting event— taking in the panoramic, meditative views as well as the spectacle and thundering sounds of rushing water. However, there’s lots of other things to see and do in this region! It’s home to beautiful rainforest habitats that can be visited. You can escape on a jungle-themed, family vacation and see a wide variety of flora and fauna. You can participate in thrilling adventure tourism activities, go on walking tours of the area, or see historical sites like the San Ignacio Mission ruins, among other things! Check out the info on this site, or contact us today if you’re interested in exploring this wonderful environment!